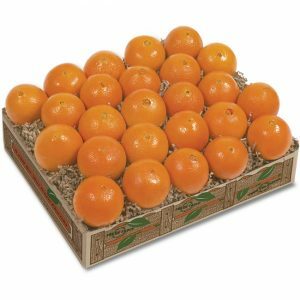 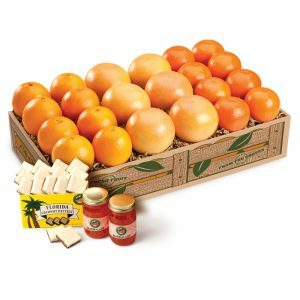 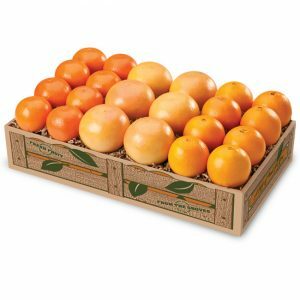 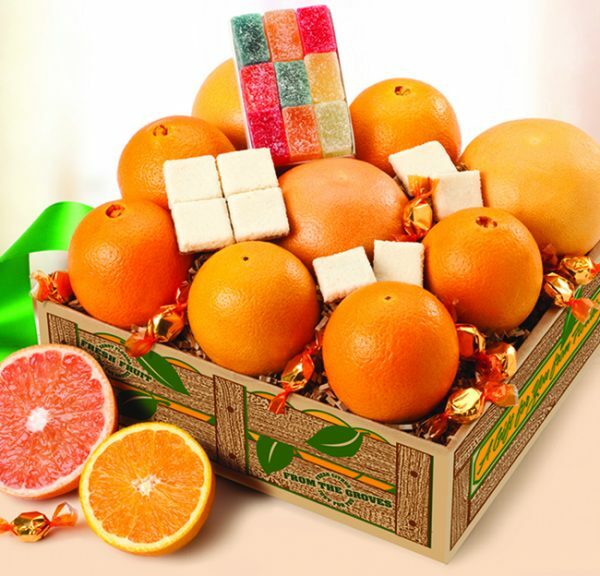 Some of the best tastes of the Sunshine State will arrive in this gift of juicy Navel Oranges, Ruby Red Grapefruit, creamy chocolate-coated Coconut Patties and genuine citrus juicy candy slices. 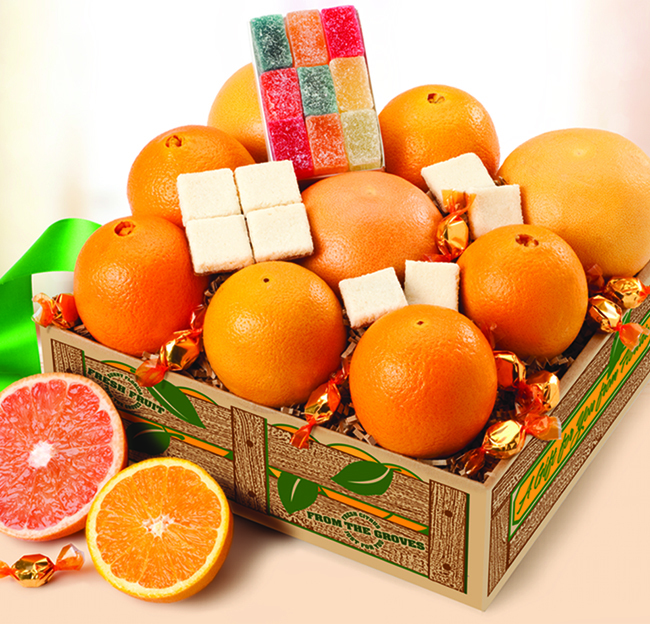 Colorfully accented with hard fruit candies. 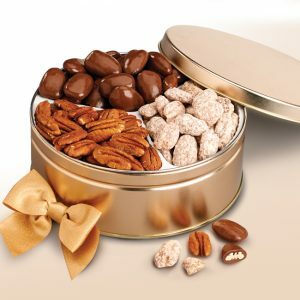 Everyone will love this gift!